When I was younger I always remember going to restaurants with kids menus that included dessert. It was always the same - ice cream with a topping of your choice. Strawberry, Chocolate or Caramel. If we had enough room in our tummies for dessert, it was time for decision making. My sister was always a strawberry girl - but me? I could never decide. You see, I couldn't figure out which I liked best - chocolate or caramel (strawberry was a never). This morning, I gave you a recipe for a Healthy Sugar Free Chocolate Fudge Sauce, so naturally I wanted to make sure the caramel lovers didn't miss out - so I whipped up this delicious caramel sauce just for you (and me... and SIL Mama... and Jesse who just about married me all over again when he tasted it). It's a Coconut Caramel Sauce that's so buttery and delicious - but it uses no butter and no sugar..... because that's how we do it in SIL Land, baby! 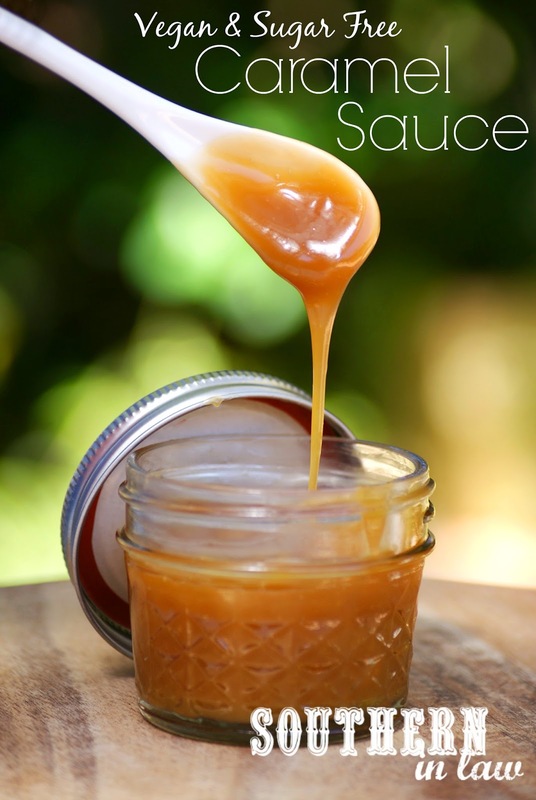 You'll be able to fool anyone with this Healthy Caramel Sauce Recipe because it tastes totally decadent whilst being totally guilt free. You can taste the coconut, but it's not overpowering - but if you're not a coconut fan, FEAR NOT! 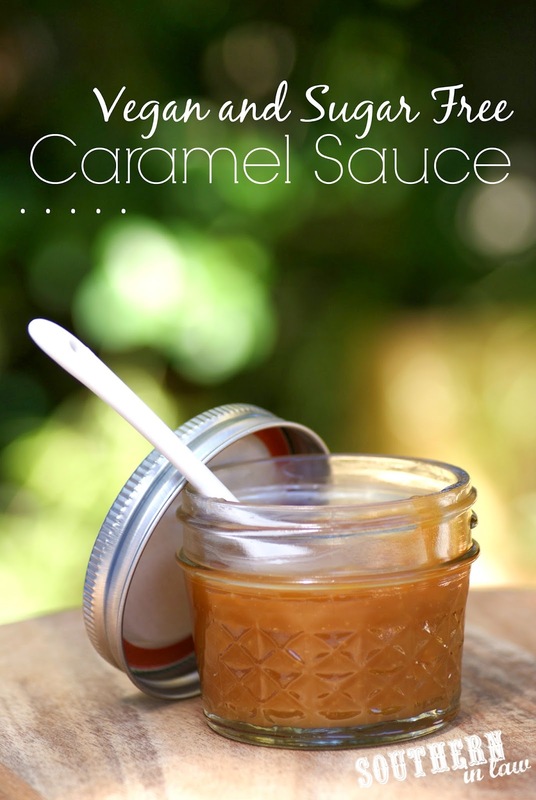 Because I'm working on another caramel sauce recipe without coconut just for you! Place all of your ingredients into a medium to large non-stick saucepan over a medium-high heat. Stir to combine all ingredients and bring caramel to the boil. Keep cooking your caramel until it thickens and darkens (see image below), stirring occasionally. 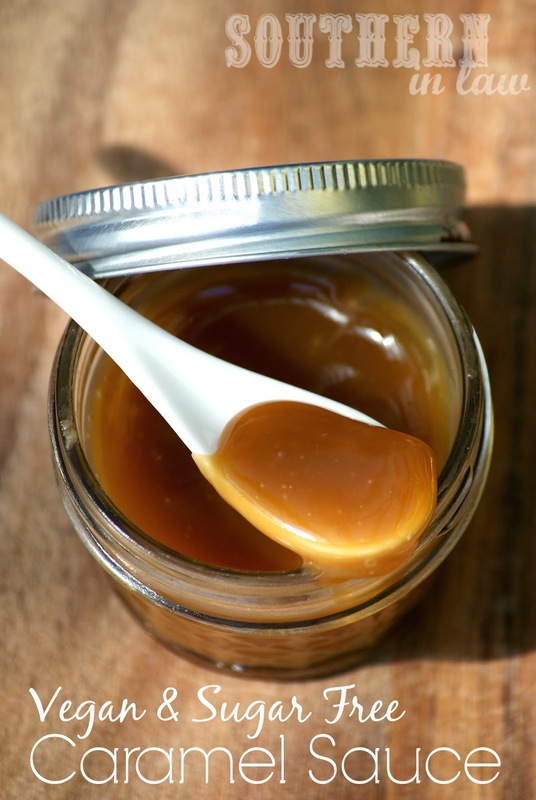 Once your caramel has thickened, remove from the heat and allow to cool slightly before serving or storing in a clean container or jar. The caramel will stay fresh in the fridge for around a week, but it will harden once cooled. To warm your caramel for serving, simply put a couple of spoonfuls of the caramel into a small microwave safe dish and heat for ~10 seconds or heat on the stove. But tell me, chocolate, caramel, strawberry or just plain ol' vanilla? but isn't there sugar in maple syrup? sucrose? It is delicious! You'll have to let me know what you think if you ever try it out! It's delicious! I was worried it wouldn't work out, but it most certainly did! This is not “sugar free” and would not be okay for a diabetic. “Refining" refers to heating and condensing a natural sugar which is what you are doing through this cooking process. I am sure it is delicious and probably better for you than a canned caramel sauce, but please be careful. You don’t want to make someone sick.